March 28, 2019 is National Medical Billers Day. All of us here at Training Direct want to give a big shout out to the hardworking medical billers out there! This includes our students, faculty, and graduates from our Medical Billing and Coding Specialist program. Are you thinking about training to become a Medical Billing and Coding Specialist? If so, congrats, that is an excellent choice! A career in the medical field can prove to be very rewarding. In honor of Medical Billers Day 2019, we wanted to share some of the benefits, facts, and qualities of being a Medical Billing and Coding Specialist. Check them out in today’s blog below! Preparing for work in the medical field can be a process. Some choose to study online and some choose to study in a classroom setting. This choice is usually made based upon preference and availability. 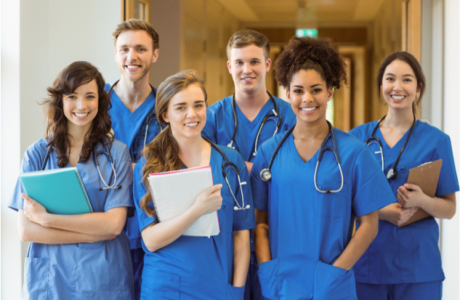 Although learning about working in the healthcare field can be done online, there are a lot of benefits to studying in a physical classroom. As stated previously, learning about healthcare is an involved process. Healthcare is also a very hands-on field. You may find it easier to be in a physical classroom where you have immediate access to an instructor and can get that hands-on experience. In addition to having your instructor around as an asset, you will also have your fellow classmates to work and ask questions. Another benefit to studying Medical Billing and Coding in a classroom is the development of your soft-skills. Soft-skills are things like, interpersonal skills, communication tactics, and language. As a Medical Biller and Coding Specialist, you will likely deal with a variety of personalities on a daily basis. As a result, having the face-to-face time to practice communication skills can be extremely helpful. To learn more about the benefits of studying Medical Billing and Coding in a classroom check out this blog! 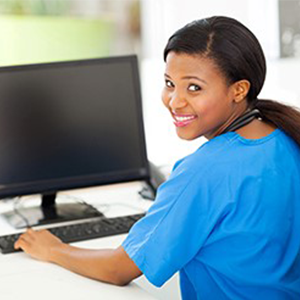 There is a lot you can learn while studying to become a Medical Billing and Coding Specialist. One of the most obvious things you can learn is the difference between medical billing and medical coding. Medical billing is the process of claims being submitted to insurance companies. Medical coding is the process of codes being assigned to the description of a patient’s conditions. Another fact you may not know is that Medical Billing and Coding Specialists should be good problem solvers. This statement has a lot to do with the fact that billers and coders touch nearly all aspects of the healthcare industry. Because you may be working with many people and a lot of information, it will be important to learn how to effectively problem solve on the fly! To learn more facts about Medical Billing and Coding click here! A great Medical Biller should have a solid combination of both technical training and soft skills. As with any position in the workforce, there is a set of skills that can prove to be more helpful than others. Some of those important skills for a Medical Biller are attention to detail, the ability to multitask, and dependability. 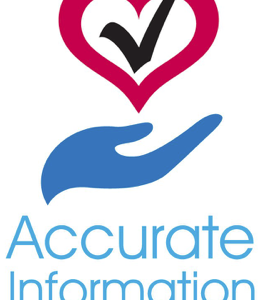 Because Medical Billers deal with a lot of sensitive information day-to-day, it is important that employers can trust them to record and document the correct info for each patient and healthcare provider regularly. As mentioned earlier, it is also important to have finely tuned soft skills and communication tactics. These qualities and more can help you become a well-rounded Medical Biller. To read about more good qualities of a Medical Biller check out this blog! Does a career as a Medical Biller sound interesting? Do you want to learn more? Our Medical Billing and Coding Specialist program at Training Direct program can be completed in just 4 weeks. This program is designed to prepare students for an entry-level position as a Medical Billing and Coding Specialist within the healthcare industry. While in the program, students will have the opportunity to learn about skills such as keyboarding, claims processing, proper medical terminology, billing for medical providers, physician coding and compliance, medical laws and more. The Medical Billing and Coding Specialist program is offered at Training Direct in Bridgeport, CT and Danbury, CT. If you are interested in learning more about the Medical Billing and Coding Specialist program or would like more information on Training Direct, please contact us here.